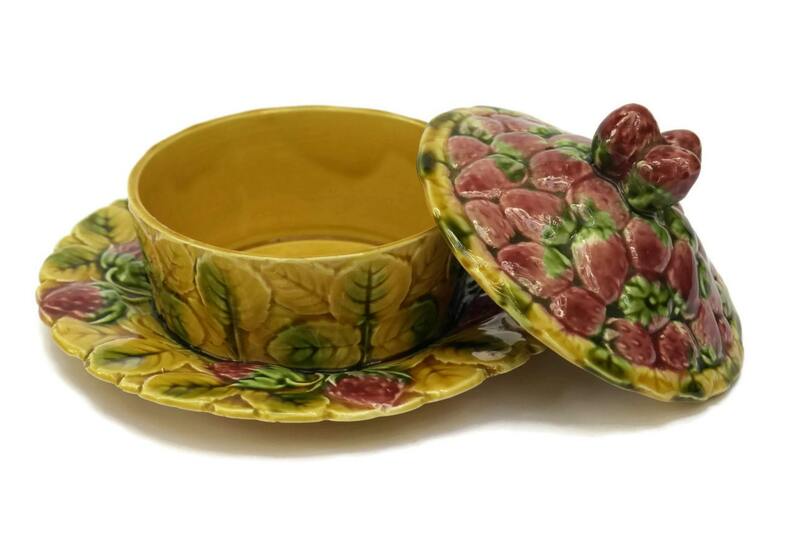 A charming vintage Majolica strawberry jam pot. 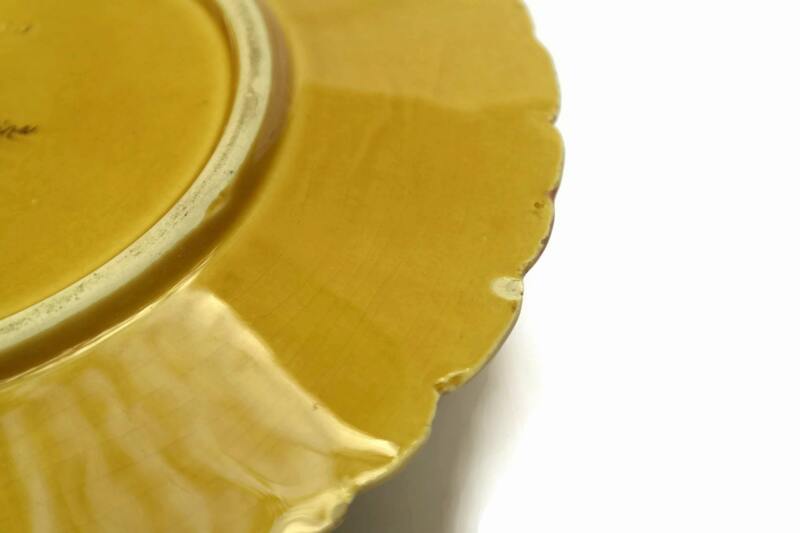 The French majolica preserve pot has been manufactured by the famous Sarreguemines ceramic company. 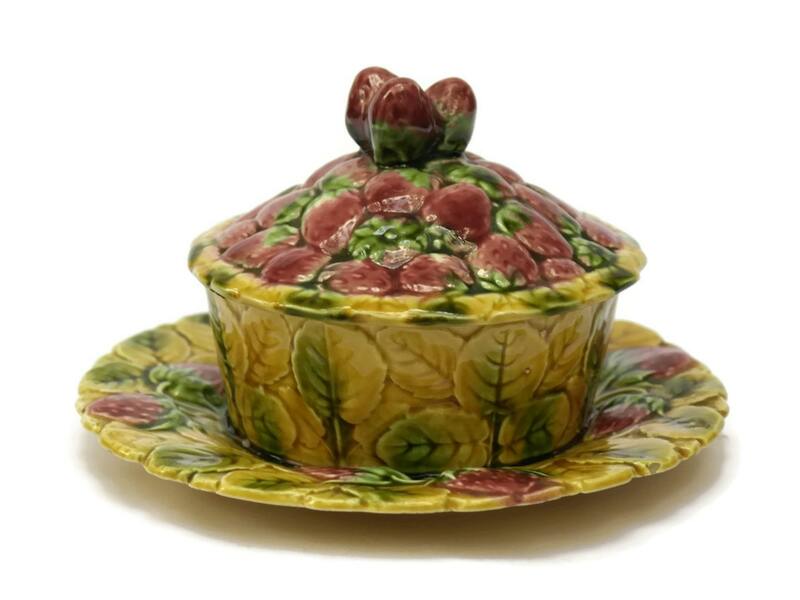 The ceramic jelly jar and lid have been decorated in a classic design of strawberries and leaves and glazed in rich tones. 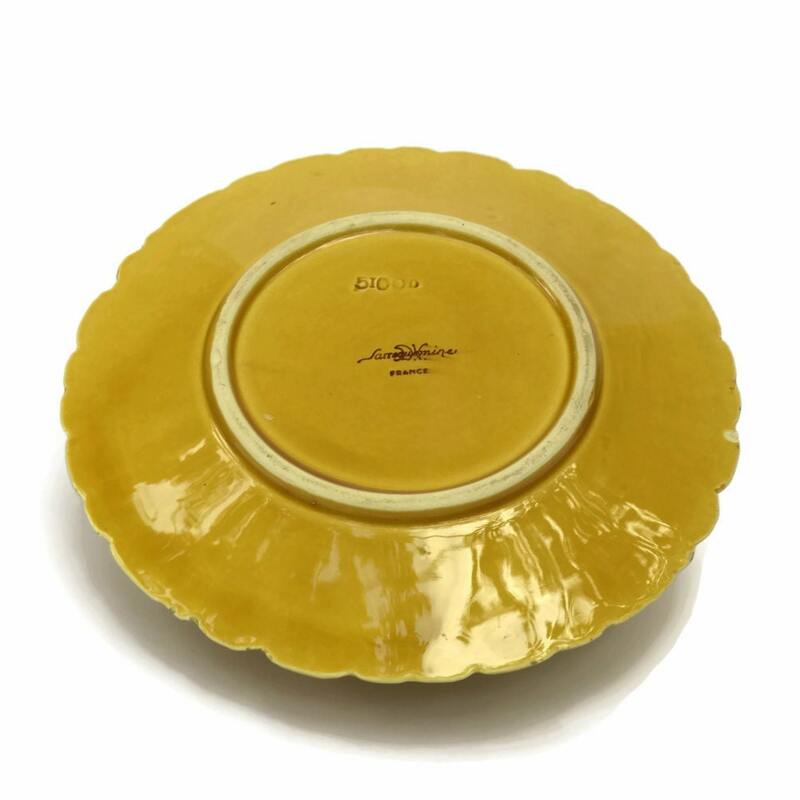 The jam bowl has been attached to the under plate which is stamped with the Sarreguemines maker's mark and pattern reference number. It would make a lovely gift for moms or a great addition to your country cottage kitchen decor. (20 cm x 11 cm). 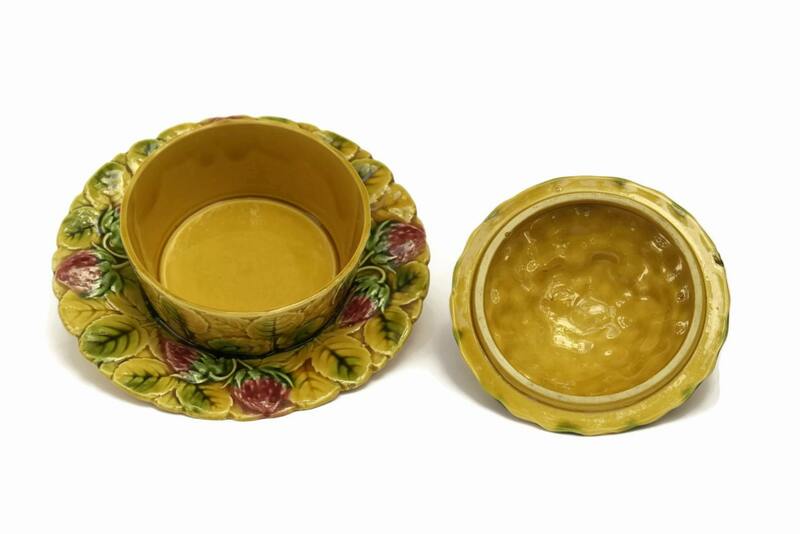 The Strawberry Majolica is in good vintage condition with age-appropriate wear. As shown in the attached pictures there is a small chip to the underside of the plate. There are no other chips, cracks or restoration.